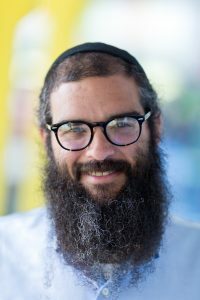 Rav Judah is Executive Director of Camp HASC, the Jewish community’s premier summer program for individuals with special needs, and is the newly appointed Mashpiah of OU-NCSY. Prior to assuming a full time role at Camp HASC, Rav Judah was a Maggid Shiur & Director of Programing at Yeshivat Reishit in Beit Shemesh. A talmid of Yeshivat Shaalvim, he received Semicha from the Jerusalem Rabbinate, a BA in History from Yeshiva University, an MA in Education from YU’s Azrieli Graduate School, and was a Graduate Fellow at the CUNY Center for Coexistence at the School for Public Affairs. Rav Judah was Director of Student Activities and a member of the Judaic Studies faculty at the Frisch School, in Paramus, NJ, and led Aish HaTorah Jerusalem’s Return & Learn Program.